On the corner of Liverpool’s Church Road and Smithdown Place there is an abandoned building that was once a bus shelter. It was here that a young Paul McCartney changed buses to go visit John Lennon, and from here that the lads hopped on double-deckers to get downtown to play the Cavern Club and visit Brian Epstein’s record shop. The tower was originally used as a chimney for the waste incinerator of St. John's Precinct and Market. 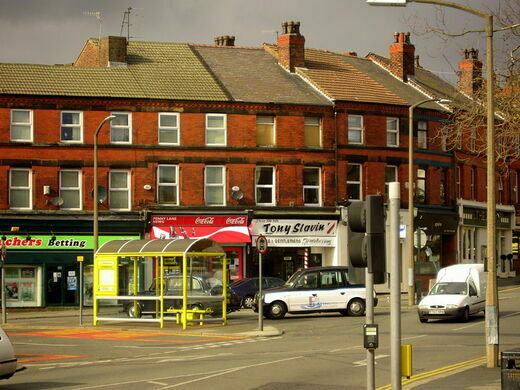 At this intersection begins Penny Lane, famous as the inspiration for McCartney’s song of the same name. 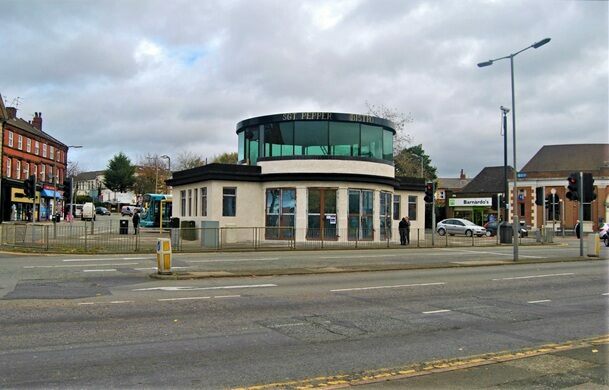 The “shelter in the middle of a round-about” is at the top of the street, across from a shop where the barber showed photographs “of every head he’s had the pleasure to know”. It’s still a barbershop today, but that barber and his photographs are long-gone. 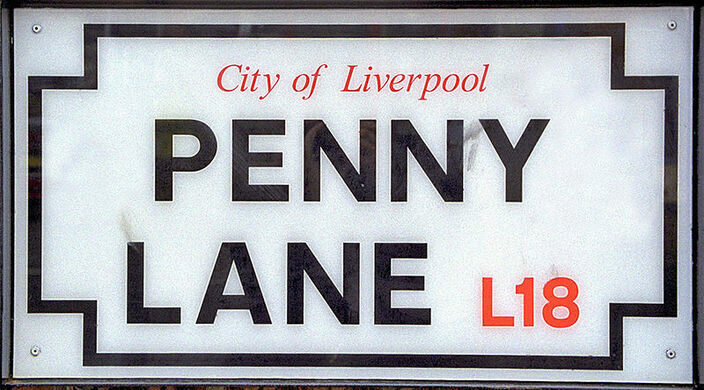 There is other music history along Penny Lane, apart from the song. 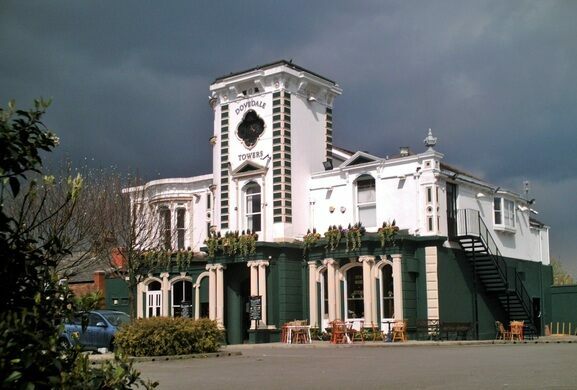 Down from the bus shelter, at number 60, is a pub and former rooming house called Dovedale Towers (now known as The Dovey), where Queen frontman Freddie Mercury lived in the late 60s. 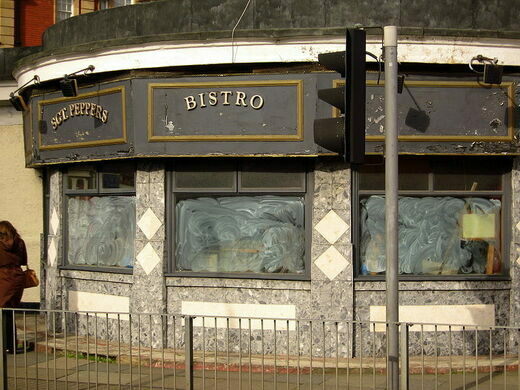 He had an early Liverpool-based band called Ibex, but both the band and his tenancy at the Towers were short-lived. Around the corner is Dovedale Primary school, and although they didn’t meet until years later, it’s the elementary alma mater of both John Lennon and George Harrison. There was a brief period in 2006 that almost saw the iconic street name changed. A proposal was brought before the local council to rename a number of streets in Liverpool that were connected to the city’s 18th century slave trade. 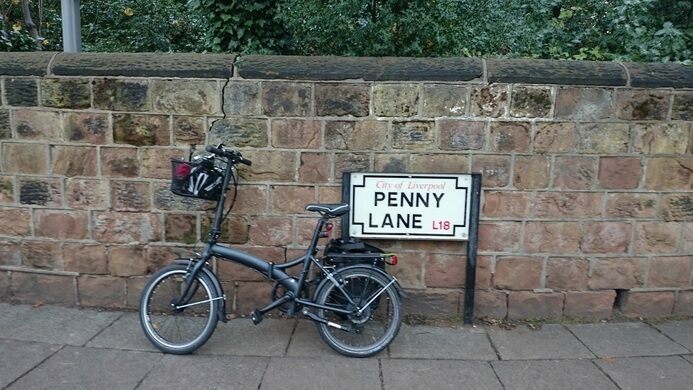 Penny Lane was one of the streets in question, thought by some historians (though not all) to be named after James Penny, a slave ship owner and staunch anti-abolitionist. The proposal was never enacted, and the name has remained the same, in spite of James Penny. And for almost 50 years now, it has racked up only positive associations. 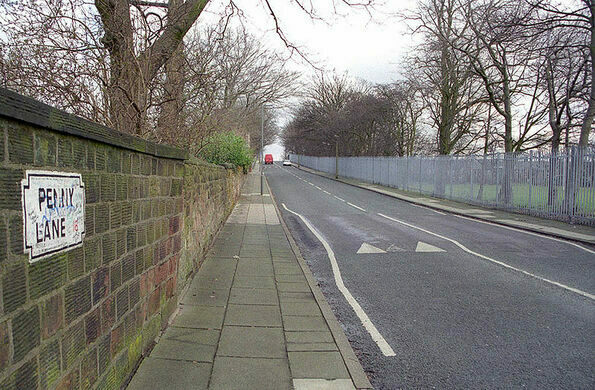 Penny Lane is about half a mile long, running between Church Road and Greenbank Road. There is a more modern bus shelter across Smithdown Place from the original one, so you can still get to Penny Lane by bus. The Dovey (a/k/a Dovedale Towers) is about a quarter mile down. Take a left on Dovedale to see the Dovedale Primary School where little John and George went to elementary school. Prehistoric sandstone menhir with Early Bronze Age cup and ring markings, also known as Robin Hood's Stone. The quiet field that inspired one of the most famous songs of all time. The red brick house where the father of rock 'n' roll wrote some of his classic hits.